The publication of the Panama Papers sent shock waves around the world. The reports by the International Consortium of Investigative Journalists, which CNNMoney hasn't been able to independently verify, allege that top officials around the world hid wealth through secret offshore companies. The investigation is based on over 11 million emails, documents and client records allegedly obtained from Mossack Fonseca, a law firm based in Panama. British Prime Minister David Cameron has admitted that he and his wife profited from shares they had in a Panama-based trust set up by his late father. Cameron told CNN affiliate ITV News that he owned shares of the trust that he sold in January 2010, a few months before becoming prime minister, for about £30,000 ($42,200). Cameron said he paid tax on the dividends and had nothing to hide. His comments follow reports based on the Mossack Fonseca documents suggesting his father used the law firm to help his offshore trust avoid paying any British taxes. Big banks and other financial companies in the U.K. have been given a little over a week to disclose any links with Mossack Fonseca to the country's financial regulator. The request from the regulator follows reports that several big banks, including UBS, Credit Suisse and HSBC, allegedly helped their clients hide cash in offshore companies. The banks denied the allegations on Tuesday. A review of state business registration documents showed the law firm also helped to create more than 1,000 companies in the United States, through its Las Vegas-based subsidiary MF Corporate Services. The publication of the ICIJ reports sparked a government crisis in Iceland, where the Prime Minister Sigmundur David Gunnlaugsson resigned on Tuesday. The reports revealed alleged links to an offshore company with holdings in Iceland's collapsed banks, triggering mass protests in the country's capital. In China, online censors have been restricting search results and discussions on social media involving the terms "Panama Papers" and "Panama." They're also blocking use of the names of relatives of current and former Chinese leaders mentioned in the reports -- including President Xi Jinping. Meanwhile, governments in the U.K., France, Belgium, Australia and Mexico have pledged to investigate the information for possible cases of tax evasion. Who is implicated in the documents? The documents reference 12 current or former world leaders, as well as 128 other politicians and public officials. Allegations involve associates of Vladimir Putin (the Russian leader isn't himself mentioned by name in any of the documents); FIFA; Argentina's President Mauricio Macri; the father of British Prime Minister David Cameron; relatives of multiple Chinese officials, including three members of the Standing Committee of the Politburo, the most powerful group in the ruling Communist Party; Ukraine's President Petro Poroshenko and others. Officials and public figures affected by the reports have been responding in different ways. The Kremlin dismissed the allegations as "a series of fibs" aimed at discrediting Putin ahead of elections. But FIFA, the international soccer governing body, has started an investigation into a member of its ethics committee named in the reports. The Chinese government has repeatedly declined to comment on the reports concerning relatives of its current and former top officials other than to call them "pulled out of nowhere." A spokesperson for Argentina's Macri said the president had never owned a stake in the firm he was linked to. Poroshenko dismissed the claims, saying he "might be the first top official in Ukraine who treats declaring of assets, paying taxes, conflict of interest issues seriously." Is setting up a shell company or an offshore account illegal? Not necessarily. There are legitimate reasons to set up a shell company -- for example to run an international business. But shell companies and offshore accounts can be used to hide the real origin of money and can be used for money laundering. The ICIJ reports claim that Mossack Fonseca's clients included at least 33 people and companies blacklisted by the U.S. government because of links to drug trafficking and terrorism. The Panama-based law firm specializes in helping clients incorporate firms in offshore jurisdictions. It has been in business for 30 years and has set up more than 240,000 offshore companies for clients from 200 countries and territories, according to the ICIJ. The report described Mossack Fonseca as "one of the world's five biggest wholesalers of offshore secrecy." Mossack Fonseca has around 40 offices globally, including several in mainland China and others in countries and regions identified as tax havens by the European Commission, such as the Bahamas, British Virgin Islands, Seychelles, and Anguilla. Ramon Fonseca, co-founder of the firm, told CNN that the information published about the firm was false. In a statement, the firm said it had done nothing wrong, and the reports would create confusion about offshore finance. In a statement to CNN, the firm denied that many of the people named by the reports were its clients. It also has claimed the documents were taken in an external hack. The bombshell report comes at a time of growing pressure to crack down on global tax evasion and money laundering. International organizations have agreed new transparency rules, and politicians are stepping up their calls for the rich to start paying their fair share of taxes. 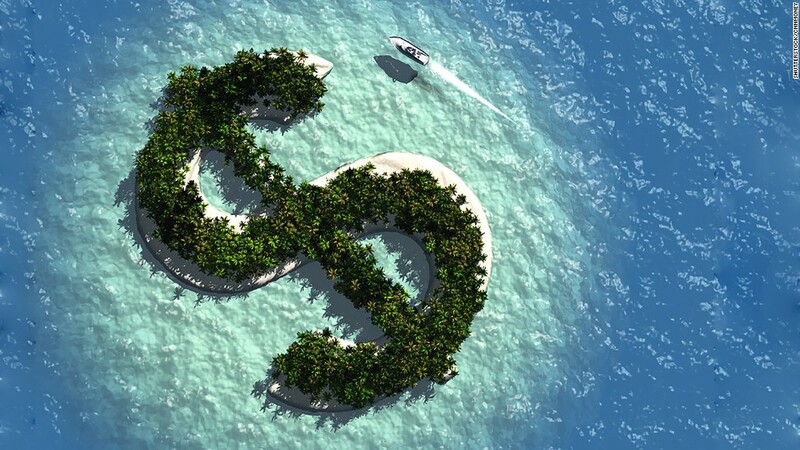 The Panama Papers revealed the huge scale of offshore finance. The International Monetary Fund said two years ago that Panama's open economy, strategic location and developed offshore financial services sector put the country at a high risk of being used for money laundering. The central American country was until February on an international watch list of countries with weak anti-money laundering laws. It remains on the European Commission's blacklist of tax haven and non-cooperative jurisdictions. "Panama is the last major holdout that continues to allow funds to be hidden offshore from tax and law enforcement authorities," said Angel Gurría, secretary general of the OECD, in a statement Monday. -- Charles Riley, Chris Liakos, and Alanna Petroff contributed to this report.